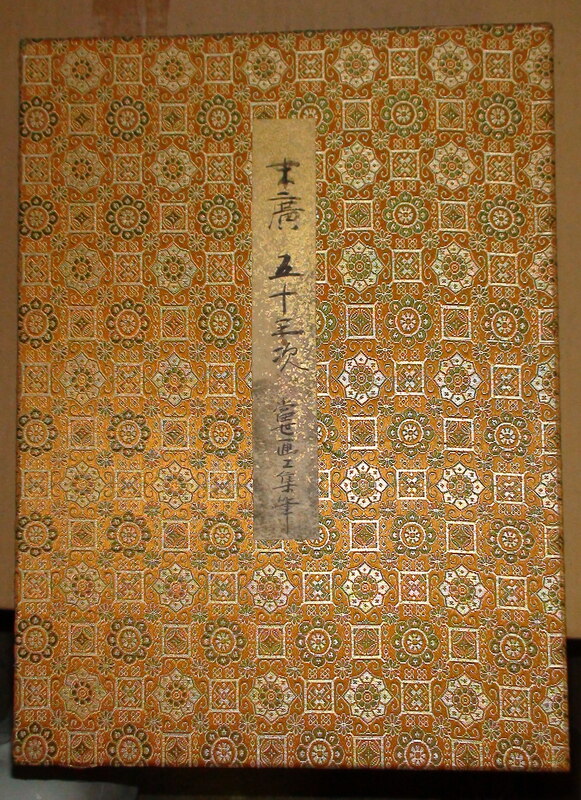 Two more images you do not have here on your site, or I can not find them yet... 1) the cover of one of the albums of the Fifty-three Stations of the Fan [of the Tokaido Road]. Also, 2) the frontispiece/introductory page from the 55 prints in this volume. I will send them in two posts.